Five alleged immigration offenders have been arrested by a Home Office enforcement team and police in an operation at two Shetland takeaways. 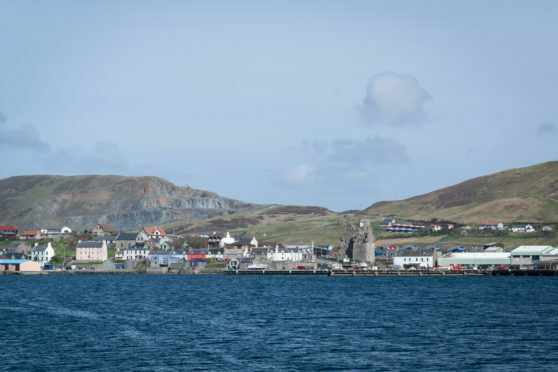 Two Chinese nationals, aged 31 and 43, were found to be allegedly working illegally at the Hai Yang takeaway in Scalloway, while immigration checks also discovered a 44-year-old Malaysian man had overstayed his visit visa. At the Taste of China in Brae, checks revealed a 51-year-old Chinese national was an alleged immigration offender. Police Scotland, which assisted the intelligence-led operation, also arrested a 44-year-old Chinese woman and she was referred to immigration enforcement. She was discovered to have allegedly entered the UK illegally. All five have been detained while steps are taken to remove them from the UK. The businesses were served referral notices in relation to the arrests. The notice warns that a financial penalty of up to £20,000 per illegal found would be imposed unless the employers can demonstrate that appropriate right-to-work document checks were carried out, such as seeing a passport or Home Office document confirming permission to work. If proof is not provided, this is a potential total of up to £60,000 for Hai Yang and £20,000 for Taste of China. Yesterday, a notice on the door of the Hai Yang said it would reopen today. Police chief inspector Lindsay Tulloch said the force “very much welcome operations such as this multi-agency initiative”. The operation took place nearly two years to the day after eleven alleged immigration offenders were arrested from restaurants and takeaways in Shetland.